January 21, 2019 By MainstreamUMC-Staff-s.h. Greetings and grace to you. This team, known as the WCA Next Steps Working Group, is made up of trusted clergy and lay persons who are also having their work vetted through trusted theologians. Their work will be presented to WCA Council for final recommendation and will benefit renewing the UMC or launching the Next Methodism if needed. At the appropriate time, the work of this group will be shared more broadly. The WCA Council will meet in St. Louis on February 27-28 to respond to actions of the special called General Conference. They will consider issuing a call for a Convening Conference for the next Methodist movement and will act on the report of the Next Steps Working Group. If a convening conference for the next Methodist movement is deemed appropriate, we have tentatively set aside the dates of April 25-26 (the week after Easter) for the conference. If the special General Conference adopts the Modified Traditional Plan with the enhanced accountability provisions, there still may be churches which are intent on departing from the United Methodist Church. The WCA will work with those churches to transition into a new Methodist movement. Those churches which indicate a desire to be part of something new will be invited to a convening conference. Other churches would be given the opportunity to move to what is new at a later time, if they decidedthat became advisable. Our current evaluation is that there is a higher probability of the Modified Traditional Plan being adopted than the One Church Plan being adopted. Regardless of the outcome of the special General Conference, we urge churches and pastors not to do anything precipitous. The temptation may be to immediately send letters of withdrawal from the United Methodist Church. We urge churches and pastors to participate in the convening conference if necessary and to take steps to withdraw in concert with one another. The WCA will be providing counsel throughout this period and will provide steps for churches and pastors to follow in transitioning from the UM Church to what is next if that is needed. A team of legal strategists will provide overall strategic advice. The nature of the Wesleyan Covenant Association will likely change in the coming year. Presently, the WCA is organized around a membership model with additional funding support from donors. As we enter into this new season, we are confident that donors will continue to support as long as there is a reason for the WCA to continue to exist. 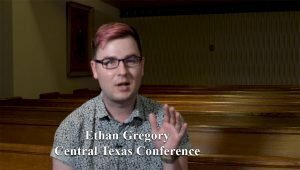 In the aftermath of February, those who are members will either be deciding to stay with the UMC or will be transitioning to whatever is next. In order to fund that transition so that we will continue to have an organization through which we can work, we will need transitional funding. We strongly urge local churches and individuals to make generous gifts as they are able. We’ve hosted numerous WCA Executive Team planning gatherings. For those persons who served on the Executive Team, and who have been consistent in being at planning meetings, I offer my deepest thanks and appreciation. We’ve coordinated numerous mail and email updates to members and constituents. We hosted the first WCA Banquet at Annual Conference 2017 (Attended by over 100 people). We hosted Rob Renfroe for our second WCA Banquet at Annual Conference 2018 (Attended by over 300 people). We hosted the 2017 WCA Simulcast at Christ Church Birmingham (The largest WCA simulcast attendance in the country). We hosted the 2018 WCA Simulcast (Unashamed Conference) at Christ Church Birmingham. For all the “beyond the call of duty” hours given by the Christ Church staff in making these things possible, I give a big “shout out” of thanksgiving for each of you! We worked together to soundly defeat the so called “Unity Resolution” at Annual Conference 2018 via a letter campaign and through thoughtful preparation for floor debate. The WCA held its first Global Legislative Assembly in Atlanta on November 2, 2018. North Alabama was represented by delegates elected by the NA WCA Executive Team. We thank Tommy Gray (Clergy, Asbury),Paul Lawler (Clergy, Christ Church), Ann Lee (Lay, Guntersville First) and Joel Dobbs (Lay, Clearbranch), for giving of their time and resources in serving at this strategic time. I have had the privilege of speaking at many North Alabama Churches on the State of the United Methodist Church, the Commission on a Way Forward and the Wesleyan Covenant Association. Each of you has served as gracious hosts and over a thousand United Methodists have been informed and had their good questions answered. Enclosed you will find a comparative chart of the three major plans which were forwarded to the special General Conference by the Commission on a Way Forward. I provide it in case you, or the people you serve, need to clearly see the implications of each plan in simple form. I will be in St. Louis for the 2019 called General Conference . I look forward to seeing some of you there. In the meantime, I encourage you to continue to pray and fast for the will of God to be done through the actions of the conference. Following the conference, I will be sending you additional information regarding possible next steps. It is an honor to serve as your North Alabama WCA President .